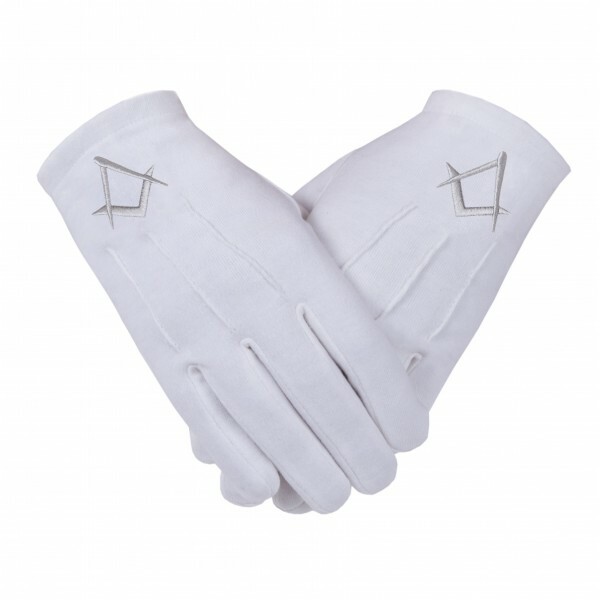 > Gloves>Cotton Gloves>"Freemason Masonic Gloves in Cotton with Silver S & C "
"Freemason Masonic Gloves in Cotton with Silver S & C "
These Masonic White Gloves are made from high cotton. 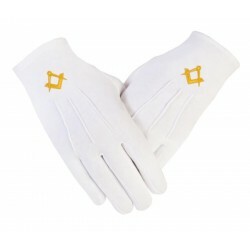 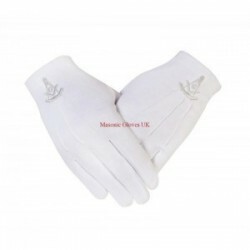 We can make Freemason Masonic Gloves to your Specification with specialized Embroidered or Printed Symbol minimum order 3 dozen in mixed sizes, please ask. 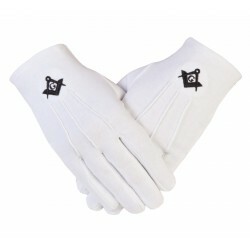 We also make Reeanactor Gloves. 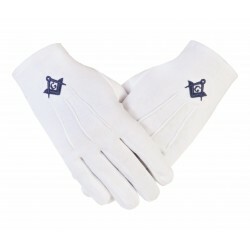 If there is any specfic type or design of gloves you want, please do not hesitate to ask us. 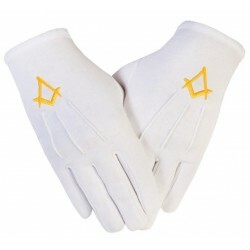 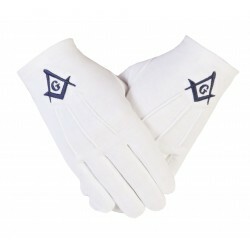 Retail trade enquiries for Masonic or any other Leather Gloves are welcomed. 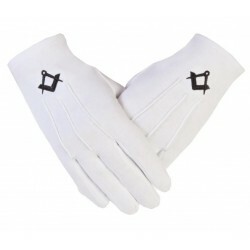 Happy to meet and Happy to Serve!